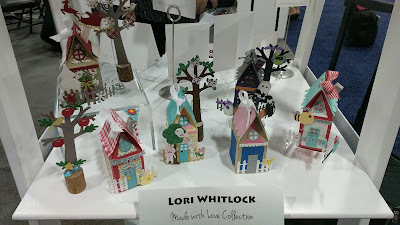 My first day but second year attending the Mixed Media Expo in Salt Lake City. I go to CHA/Creativation in Phoenix in January and AFCI puts on this smaller event as well. 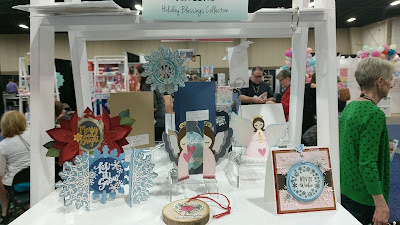 Sadly, this is the last year they are doing it in Utah. 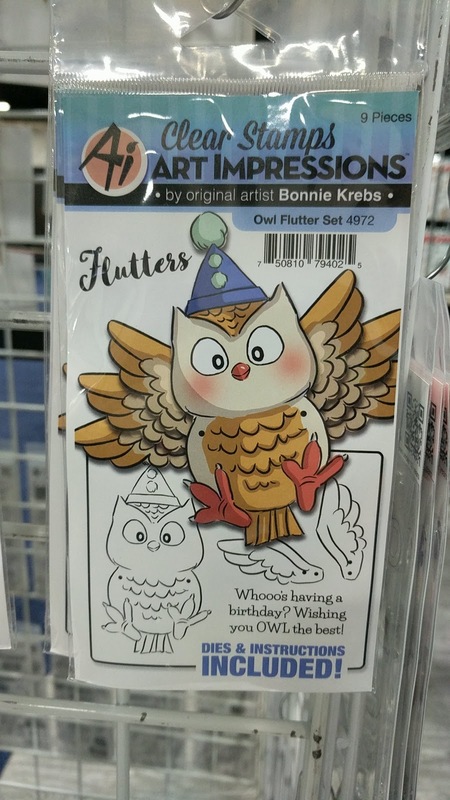 I saw these markers in January at CHA and ended up buying a box. 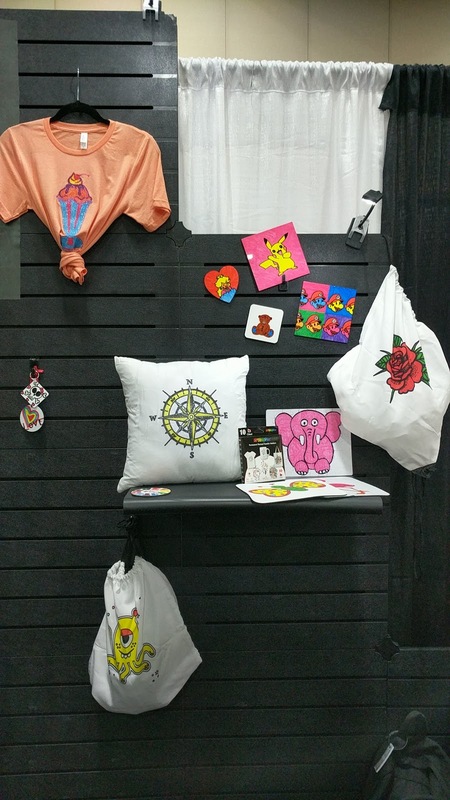 $35 for a set of markers is on the expensive side (to me) but the coolest thing about these is that you can draw whatever design you want on paper and transfer it to a variety of surfaces with your heat press, iron, etc. 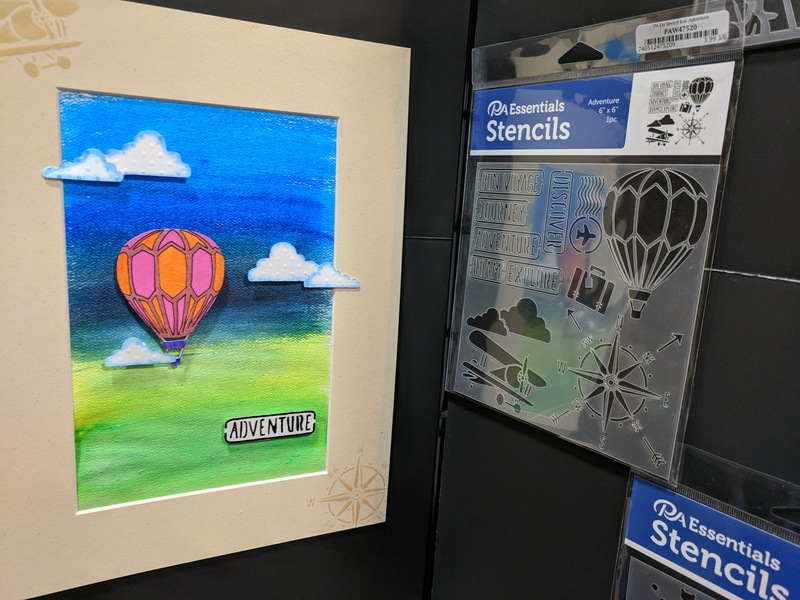 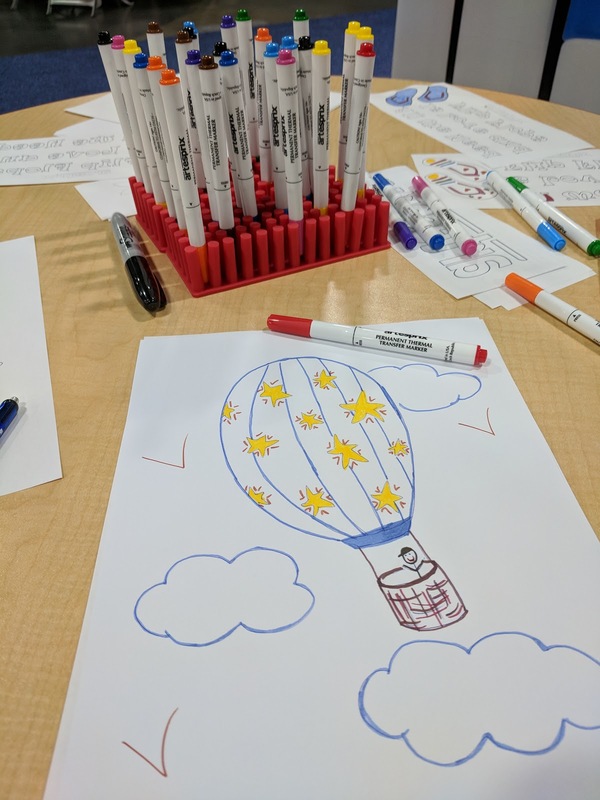 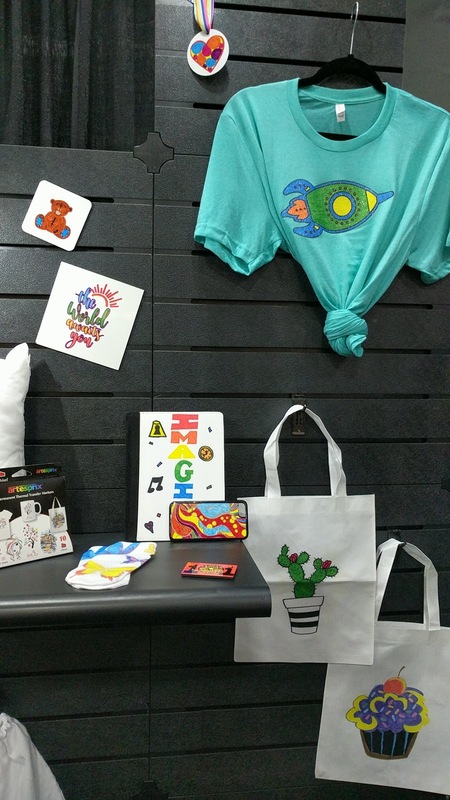 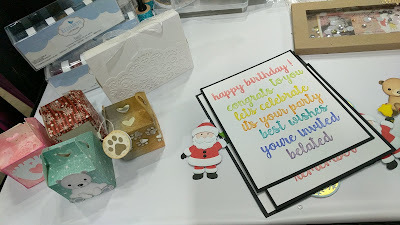 Even if you are not an artist, you can print out an image on your computer or have your Cricut machine draw one with the pen (need to buy a piece to modify the pen holder so it doenst slide out) and then you can color the design in with the pens before transferring it to your project. 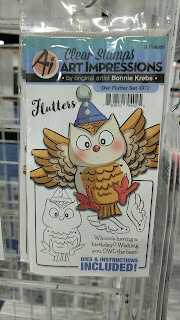 I can't wait to use my pens! 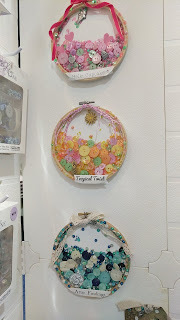 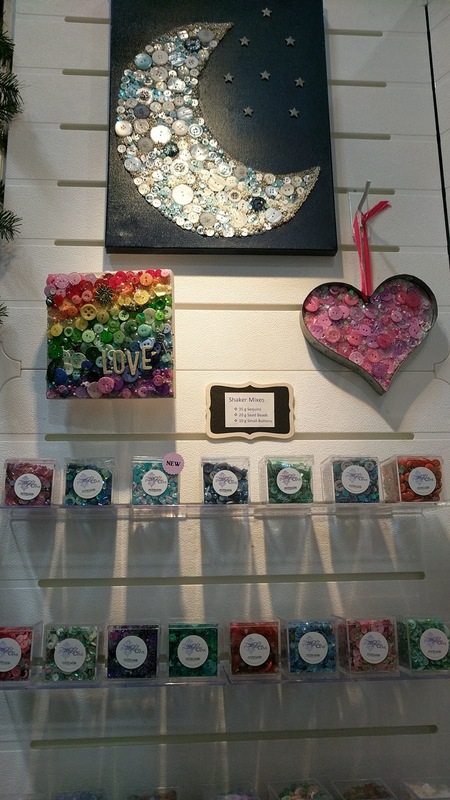 Love the crafts you can do with these buttons and sequins. 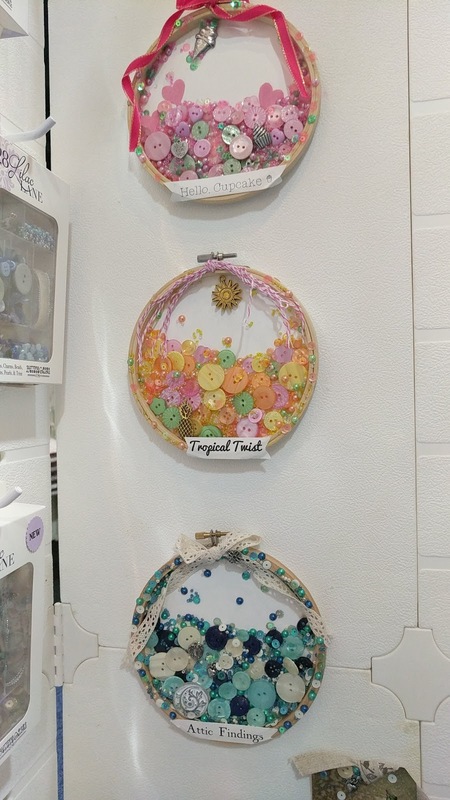 Buttons Galore. I wish buttons were not so expensive but with my discount, I did order some for upcoming Pinterest party projects. 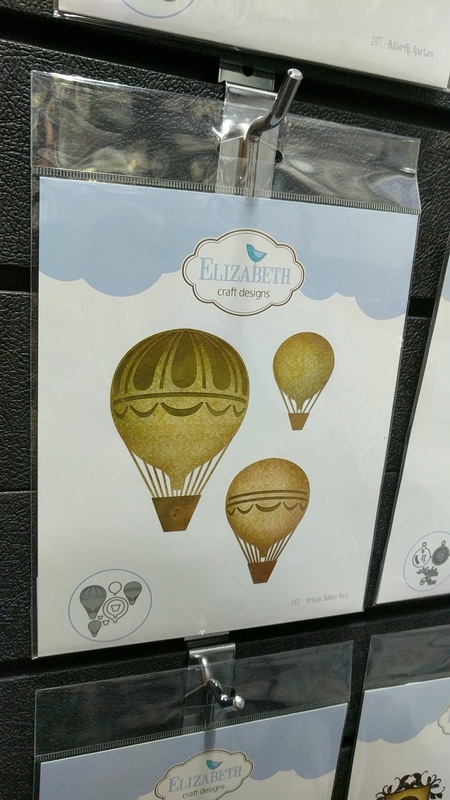 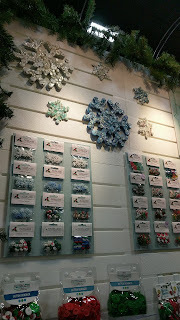 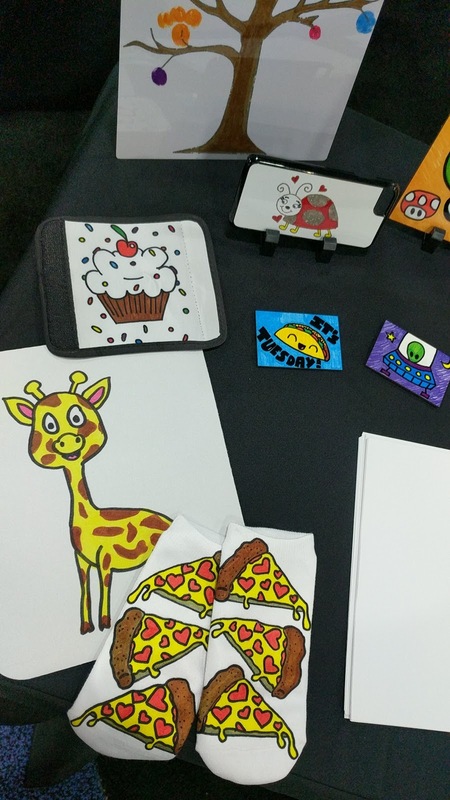 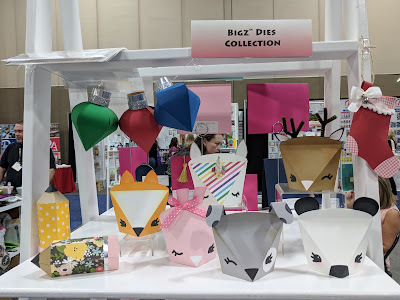 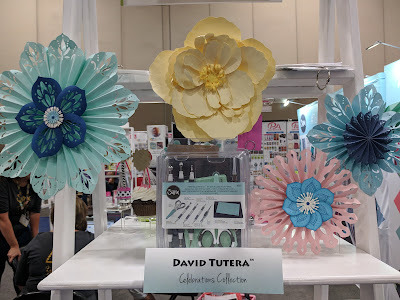 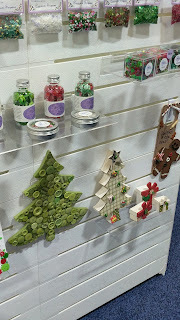 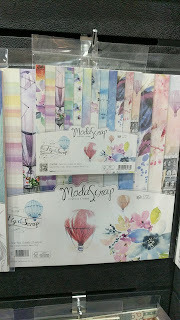 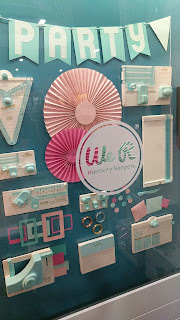 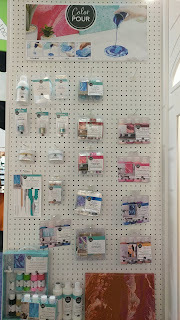 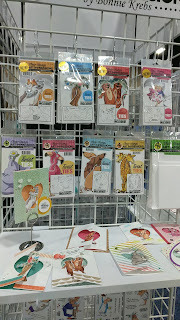 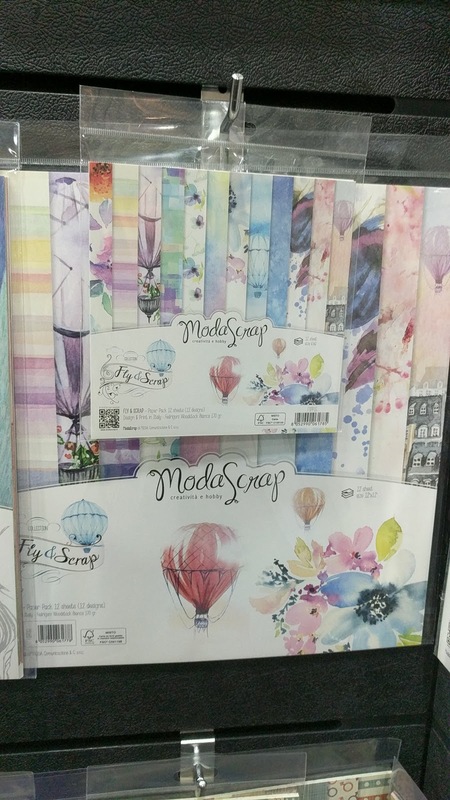 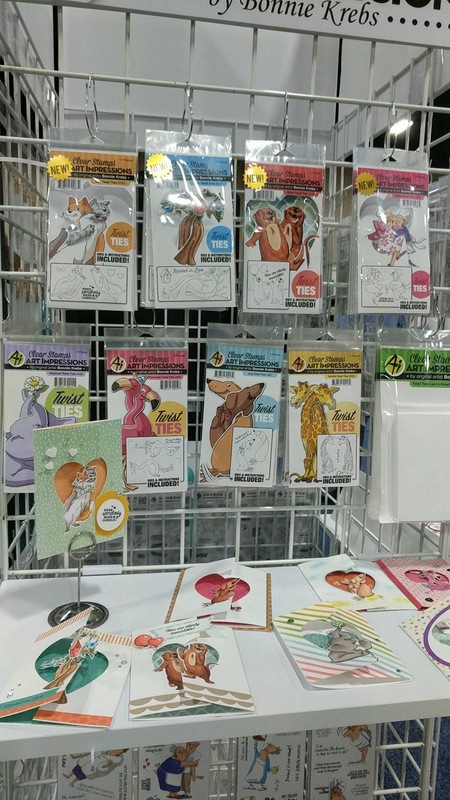 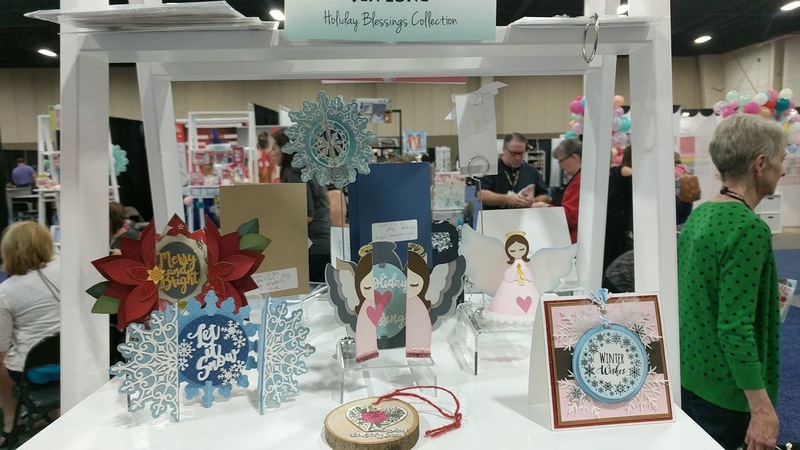 The ideas I got for paper crafting at the Sizzix booth were pretty cute! 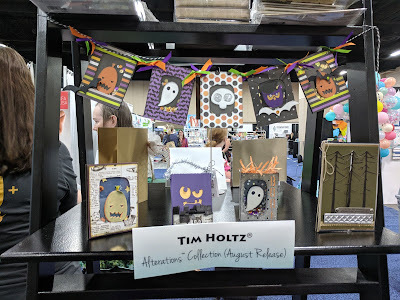 I think we will be making that Halloween banner at the September Pinterest party! 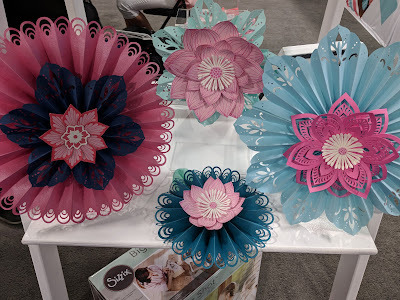 Loving these paper flowers - so intricate! 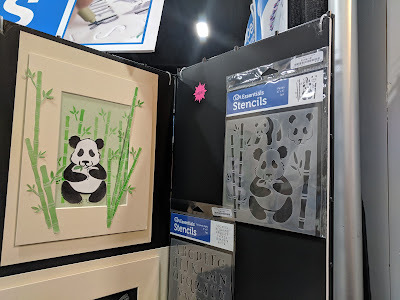 Found some pandas! Totally ordered this stencil. Love it! Love We-R-Memory Keepers and also this Color Pour thing looked fun! Doing a make-and-take at the Lawn Fawn booth. 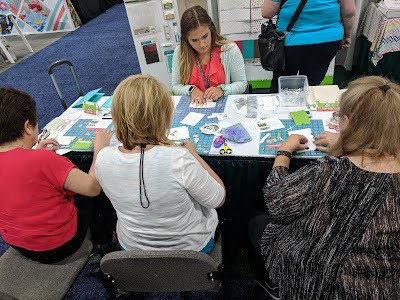 Overall a great first day at the expo and then we took off around 3 or so to do some other fun things.